Our spray foam sealant is the most efficient product to seal leaks and drafts for good. Save up to 40% on your utility bill! Only with Tiger Foam. Our foam insulation is manufactured using fire-retardant chemicals and contains no CFCs, VOCs, Formaldehyde or PENTA-BDEs. Pickup Locations are available throughout Canada. Spray foam kits may be shipped direct or scheduled to be shipped to any of our pickup locations across Canada. Please call for process of pick-up orders at 1-888-844-3736. Tiger Foam Insulation™ is manufactured using the best blowing agents and fire-retardant chemicals available. It DOES NOT contain CFCs, VOCs, Formaldehyde or PENTA-BDEs! When using spray foam it is always important to practice safety first. We carry Fast Rise insulation kits for air sealing applications with an open access area such as open frame walls in new construction buildings, crawl spaces and basement ceilings, overhead applications and between metal joists. Use our Slow Rise kit in closed access areas such as molds, pontoons or boats. This product is rated to float 60 lbs per cubic foot. We make sure you’re prepared. Get the best results using using spray foam products for your next project and stay safe with our bucket heaters and protective gear. 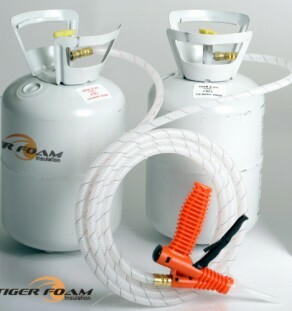 Get equipped to insulate with Tiger Foam accessories. We have solar thermal collectors and accessories to get you started in generating your own power. Take advantage of solar heating and and reduce your environmental impact and your energy bill. Protect your family from fuel shortages and price increases. 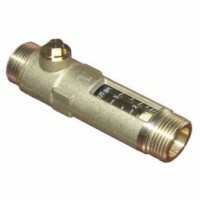 Approved for use around wires, plumbing penetrations etc.